Is Pinterest right for your organisation? If you have been following social media news, you would have heard of Pinterest by now. It has been one of the fastest growing social networking sites and there is still room for more growth. 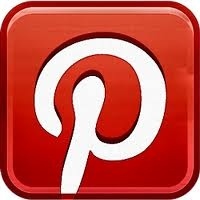 Pinterest is a virtual “pin board” of interesting images – from photos of food and fashion to infographics and posters. It is a place where individuals, who are known as “Pinners”), share or curate images. The general idea is that these Pinners share what they find interesting either by “pinning” things that they find on the web, uploading images on their boards, or “repinning” existing images that they see on Pinterest itself. Images are organised by “Boards”, which act like folders for specific images within a certain theme. How do you know if Pinterest is right for your brand or organisation? 1. Do you know how your organisation can tell your story in pictures? If you don’t know how to spot images that would be right for your organisation, then you would struggle to make the most out of Pinterest. This is a visual platform, so you need to be able to think in pictures. On the other hand, if your organisation uses a number of images for your brand and/or industry, then you would find good use of Pinterest. 2. Do you sell, share, and/or offer products and services that can be easily visualised? If yes, then Pinterest can help boost your e-commerce site and/or any of your other offers. 3. Do you have an existing user base that uses Pinterest? If not, is your target audience a typical Pinterest user? It’s always best to go to a social network where you already know some people and where you wish to know more people. Check the Infographic here again to see of the typical Pinterest user fits your demographic. If it doesn’t fit, find where your stakeholders are hanging out online and go there instead. 4. Do you have the resources to manage a Pinterest account? Just like any social platform, Pinterest requires some time commitment to make it work. If Pinterest fits with your business or organizational strategy, then it’s worth allocating some resources into this platform. Yes, to Pinterest! But, what now? 1. Remember: It’s a visual platform. Great text and images work really well with Pinterest users, so it’s worth thinking about pretty and/or powerful images. People who utilise Pinterest loves visual learning. So, make the most out of it by sharing images that will evoke action and emotion. 2. Pins should be more than just about you or your organisation It is important to find and share other ideas that help to support your own. You can do this through repinning others’ pins. 3. Find your sources. If you know of organisations or individuals who share Pins of images that work well for your organisation or brand, make sure you follow them. Engage with them. This makes sourcing images a lot easier and quicker, especially for “repinning”. 4. Optimise titles and descriptions! This is useful for bring in search engine traffic. You might want to consider hashtags as well. 5. Plan and execute! Just like any social platform, it is good to have a plan to work with in order to maximise its use. So, are you on Pinterest, yet? If you are, please share your organisation’s Pinterest URL here. We’d love to share other possible tips and ideas on Pinterest here for you.